How to Withdraw Money From Yes Bank ATM? Yes Bank which is one of the biggest and most trusted banks operating in India, many people own an account with this bank and are quite happy with the service Yes Bank offers them. Yes Bank offers all the advanced banking features to their customers or account holders. From electronic passbook printing which is the most basic thing of banking to internet banking feature which is one of the most loved banking features, they offer each and every feature and ATM is also one of those features. When we open a bank account with Yes Bank we get a banking kit which will have our bank passbook along with other stuff and the ATM Card or Debit Card. If you don’t have ATM card or Debit card you can’t withdraw money from Yes Bank ATM machine. I hope you have your debit card with you if you don’t have it you will have to apply for new ATM card. But before we proceed to the further part of this guide I would like to tell you the things you need to know about ATM card. What is ATM Card or Debit Card? It is a financial card which will be provided by the banking institution to the people who own and operate the bank account with them. With the help of this card, people can access their money which they have in their account anytime in a day i.e. 24×7. There are tasks which can be done with the help of this card and they are, cash withdrawing, cash deposit, balance enquiry and few more. In order to avail these features, you need to insert your card into Automated Teller Machine. Some banks have Automated Teller machines in which you need to insert your card and it goes inside the machine and some banks have machines in which you just need to swipe your card and you are ready to carry out the task you want to do. So now let us get started with this guide and check out the procedure which you need to follow in order to withdraw money from Yes Bank ATM machine. The first thing you need to do is you have to activate your Yes Bank ATM card before you use. You have to activate it if in case you are using it for the first time if not then you can skip this step and move to the next step. Now you will have to find an ATM machine or center which is near to your location and is owned by Yes Bank. If this is the first time you are using your ATM card then you have to visit the ATM machine of Yes Bank only, but if you have used your card before then you can visit ATM center of other banks too. Insert or dip your ATM card into the machine. Once you insert or dip your card into the machine you will be asked to enter your 4 digit Personal Identification Number. (PIN) Make sure you don’t disclose your PIN to anyone. Once you enter your 4 digit PIN you have to select the language in which you would like to use the ATM machine. After selection of your language, you will several options on the ATM screen, from there select “Withdrawl”. There are mainly two kinds of bank accounts and they are saving bank account and current bank account, you will be asked to select one within them. After the bank account type selection, you will have to enter the amount of money you want to withdraw from your Yes Bank account. The ATM machine will ask you if you want to get the transaction receipt if you want then select Yes and if you don’t want a transaction receipt then select no. Your transaction will be processed now and the machine will dispense the cash to you. Collect the cash from the machine and also the transaction receipt if you have selected and you are done with it. If you ever misplace or lose your ATM card somewhere then you should block it as soon as possible to avoid misuse of the card. If you want to know how you can block Yes Bank ATM card then you can follow this link to read it. So this was the procedure which you need to follow to withdraw money from Yes Bank ATM machine, I hope you are clear with all the steps which are mentioned in this guide. If you have any kind of doubts then you can leave your comment below. I will respond to your comment as quick as possible to me. How to Write Letter to Bank Manager to Change Name in Yes Bank? How to Write a Letter to Bank Manager to Close Yes Bank Account? How Much Time does it take to Clear Demand Draft in Yes Bank? How to Cancel Demand Draft in Yes Bank? How to Deposit a Cheque in Yes Bank? How to Find IFSC Code of Yes Bank? How to Find SWIFT Code of Yes Bank? How to Request Cheque Book in Yes Bank? Yes Bank Mobile Banking: How to Register and Use? How to Change the Signature in Yes Bank Account? How to Register Mobile Number with Yes Bank Account? How to Block Yes Bank ATM Card? 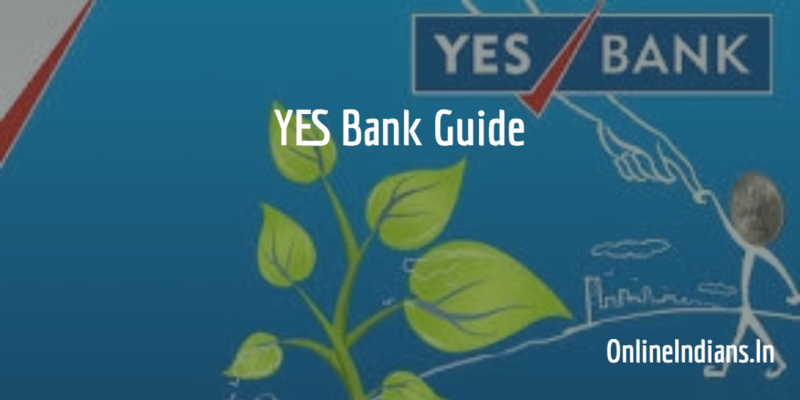 How to Close Current Account in Yes Bank? How to Open Current Account in Yes Bank? How to Close Bank Account in Yes Bank? How to Break Fixed Deposit in Yes Bank? How to Open Fixed Deposit in Yes Bank? How to Activate Yes Bank ATM Card? How to Change Name in Yes Bank Account? How to Reactivate Dormant account in Yes Bank?